The Voice of the Philippines, which I followed with such devotion last year, returned to primetime last night with two four-seat turners. One of these, 35-year old reggae singer Kokoi Baldo from Bacolod, I am already officially naming as my personal favourite. Yes, on Day 1 of the singing contest; but that is until somebody from Batangas comes along, in which case ethnic loyalty instantly kicks in. For the moment, however, I find myself captivated by this somewhat eccentric Ilonggo who now calls the jewel of an island Boracay home. Dreadlocked and unshaven, Baldo can easily be mistaken on the streets as a taong grasa. He even had the utter gall and cheek to take the stage barefoot, the first to my memory to actually do so on the Voice of the Philippines. As soon as he started singing his version of the Matisyahu song ‘One Day,’ Sarah G and Apl.de.ap immediately turned. At some point or the other, the remaining judges followed suit. There was something simply irresistible to the rich raspy voice, singing not just with technical quality but passion and authenticity. I thought this audition was already record-quality. Like Baldo, Pavino sang with great technical ability, which was also probably due to his excellent choice of songs. While his performance last night was almost record quality, he did not sound like he could do Mitoy Yonting-style testicle-busting high notes. Although first and foremost an accomplished singer, there was more to the package that was Kokoi Baldo. He narrated how petrified he was of the flight to Manila and how he would prefer to sail back home in such a funny way that he reminded me so much of Melay Francisco, the comedian who just has to be herself to be funny. 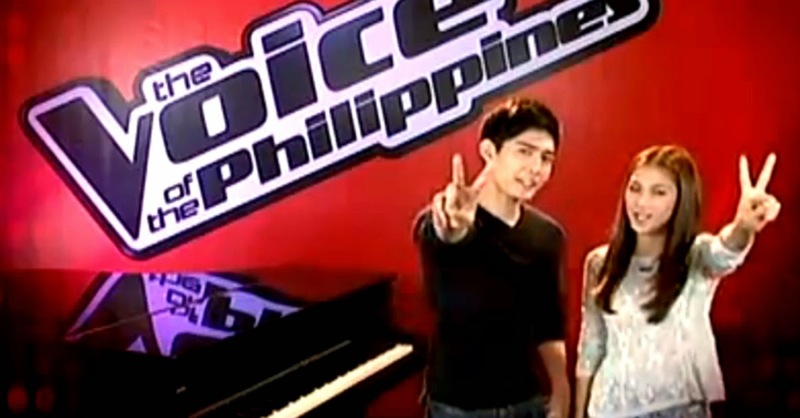 Why Baldo subsequently chose Sarah G to be his mentor is something of a paradox, although he made a lame attempt to explain his choice by saying that he wanted to learn more. It is just that he and Sarah G are so NOT made for each other. Whatever she does, I hope that Sarah G does not polish him too much. After all, it was in the rawness of his style that I ultimately found Baldo appealing; and that I do is remarkable since I am not even a reggae fan. Tanya Diaz, the other four-seat turner, I did not like so much. I found her demeanour onstage a bit fresh; and I do not mean this in a complimentary way. I thought the rock star stance was a bit contrived and turned me off. In stark contrast, I suppose, to the unaffected and unpretentious Baldo. She could sing, though, that much I am prepared to concede; albeit, I must confess that I could not understand why all four judges were orgasmic in their praises. She was the rangiest of the night’s auditions; but I thought her best was delivered in the opening lines of the song when she was subtle and controlled. When she started reaching for the high notes, growling some of them as Sarah G put it, I thought she was screaming more than singing. My ears were, in fact, screaming for plugs. It was THAT unpleasant. I suppose it was inevitable, given her rock background, she would go for Bamboo as mentor. If anyone of the four judges could chip away at the gruffness in her style, it has got to be none other than Bamboo. I did not think Sarah G was right for Baldo; but Bamboo was definitely the right choice for Diaz. Jannet Cadayona, a 40-year old single mother working for Tacloban City’s highway patrol group, came to the stage wearing her blue PNP uniform. I immediately felt happy for her and for the national police, which for once was in the limelight for all the right reasons. Her version of ‘Tukso’ brought a bit of nostalgia to the Voice of the Philippines; and she sang with fervour that Eva Eugenio herself would have been proud of. She is probably a long shot to win this season; but she looked like she enjoyed her moment on national television. My only concern is that only Apl.de.ap turned for her. Lea Salonga or Sarah G would probably have better suited her; but unfortunately, neither turned. The last singer to qualify from last night’s auditions was Seattle’s Timothy Pavino, who did ‘You are My Song.’ He was actually the night’s first artist and, at least to my mind, had something of Martin Nievera and even a sprinkling of Darius Razon. In other words, a made-for-ballad singer if ever there was one. He ultimately went for Salonga as coach although it would have served him just as well had he gone for Sarah G, the only other judge who turned around for him. Of the night’s auditions, only 20 year old Bryan Babor from Dumaguete did not make the cut. He made no secret of his admiration for Bamboo; and so thus, he tried to look like Bamboo and sing like Bamboo. Therein was the problem for the unfortunate Babor. The name of the competition was The Voice of the Philiippines. It would have served him better to have waited for the next time “It’s Showtime” holds its Kalokalike competition.